Social marketing is more than just product awareness or brand building. For many companies, such as Heifer International, social marketing actually helps people all over the world. The same tools that marketers use to sell things can also tell an incredible story of charity, and get more and more people in on selfless acts. Anita Wing Lee uses Periscope to connect with others around the topic of charitable giving. Recently, she went to Greece and Germany to share with the world the true impacts of the Syrian refugee crisis. Broadcasting via Periscope, she helped refugees broadcast experiences you probably won’t hear about in traditional media. My fourth week (last week), I was joined by a fellow prolific Periscoper, Amrit Singh (of Now Humanity) and it was the culmination of everything I’d learned. I knew where to take him so that we could capture the most powerful footage. I knew how the refugee meta-network worked. I felt so purposeful. We did for 4 night watches together and helped 6 boats arrive onto the shores of Lesvos from Turkey. These boats were full of mothers, fathers, children and babies. As Lee explained, social media can be a very powerful vessel for education and the greater good. Heifer International, a nonprofit battling hunger and poverty, has also harnessed the power of social media, utilizing the Adobe Marketing Cloud to discover trends and deliver the most relevant content that would connect with their audiences. SocialTimes spoke with Heifer International’s social media manager, Maegan Clark, to learn more about how social marketing techniques can be applied to help facilitate donations. Heifer International helps impoverished communities set up commerce and connect them with resources for a better lifestyle. To do this, Clark and the marketing team work to identify trending topics and figure out when the best time to post is, optimizing for donations. Marketing a social good provides a lot more warmth. When people are engaging with your content and liking it and clicking on it, you know there’s a bigger picture involved and a bigger purpose: to help the people that are in need of our help. Helping struggling families across the world who just need a cup of milk for nutrition. There’s a bigger purpose with it. There’s also a bigger challenge, because there’s no tangible gift. You don’t get to have anything to hold or touch or feel, or actually see the projects in person. Heifer International is very quick to engage with people through social. Clark’s team responds to more than 90 percent of the comments within 2 hours; most comments get a response within 20 minutes. 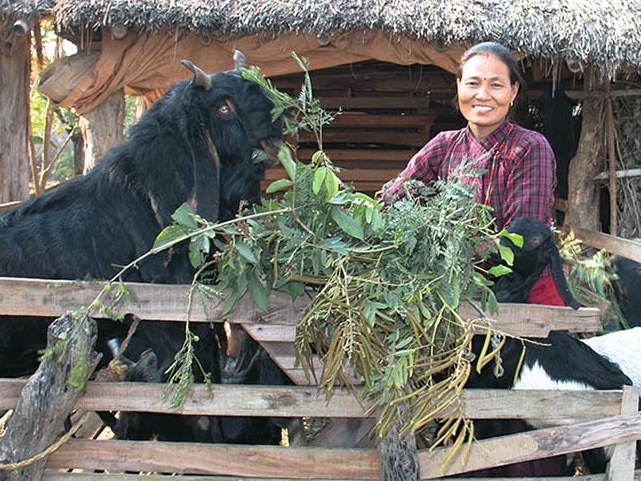 With speed being a main goal, Heifer also has a library of content tagged with identifiers such as “Nepal” or “typhoon,” so content can be shared to social channels quickly when a need arises. Heifer also learned what types of content are best at certain times. For their audience, Clark told SocialTimes that people responded better on social to snackable content in the morning, thought leadership pieces mid-day and longer stories at night.